Flavor, experience, exclusivity. Few culinary delights come together in such a divine combination as truffles. But nature’s perfect fusion of sensory experiences isn’t always easy to obtain. For those new to truffles, let me give you a quick rundown. Truffles are a type of fungus generally found near tree roots. Since the truffle is found subterranean between a few inches to as deep as 30 inches, specially trained hogs and hounds have been used to help hunt down their locations. Their difficulty to farm lies in the fact that they only flourish under certain kinds of soil and trees that cannot be cultivated or controlled. 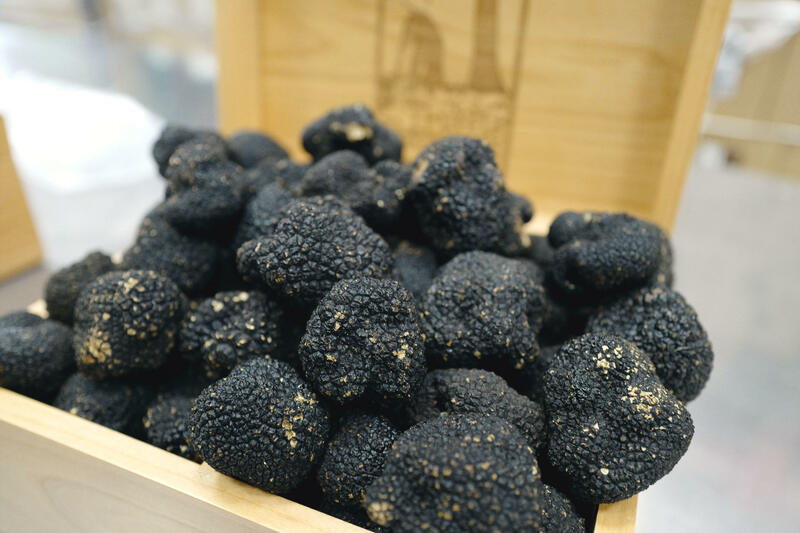 Their rarity makes them highly sought after, and the deepness of the flavor and aroma adds to their soaring prices, as much as $900 a pound for summer black truffles and as much as $9,000 a pound for winter white truffles, likening them to caviar and fine wine. My fondest memories of consuming truffles would be at the Georges V in Paris. Years later, I’m still haunted by breakfasts of toasted, butter-coated baguettes used to scoop up scrambled eggs cooked with truffles. Here in Los Angeles, I’ve attempted to re-create the experience at Cecconi’s, and just about any restaurant with a robust truffle inventory can whip up a plate of tagliatelle with cream sauce and shaved truffles—even if it’s not on the menu. 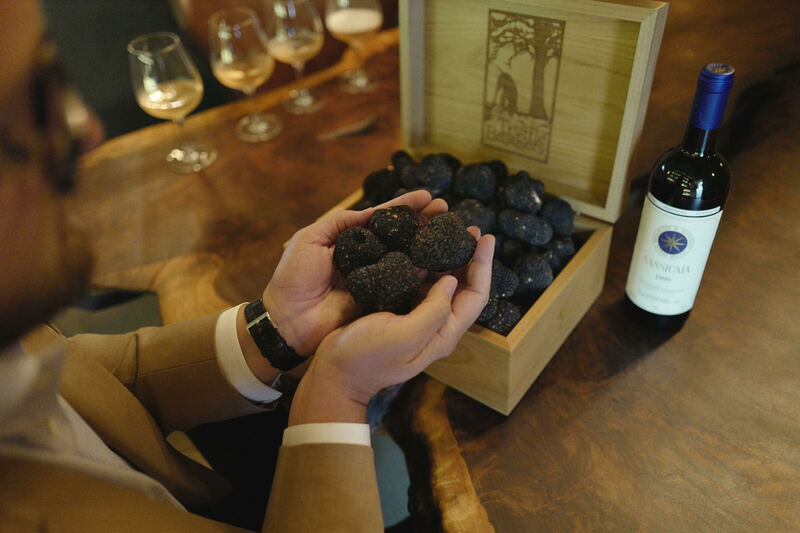 As we round out the summer season, I plan on enjoying as much as I can of the black summer truffles, which you can still find at top restaurants and suppliers into early fall when the season has had a good run. Black truffles are milder than white and have a woodsy, almost hazelnut flavor. Some consider it to have a sweet, chocolate-type flavor that is generally less potent than the winter variety and pairs incredibly well with the lighter spring and summer dishes. There are many different options in the world from Australian to Chinese black truffles and of course, the Middle-Eastern Terfez. But just like a fine-tailored suit, Italian truffles have their strong—and much deserved—cult following. When it comes to finding them in California, I’m continuously blown away by Michael and Marco Pietroiacovo, otherwise known as the “Truffle Brothers.” Born and raised in Italy and now the premier supplier to restaurants like Spago, Providence, Bestia, Melisse, and Wally’s, earning them some serious street cred. Their family has been in the truffle business for two generations now, and their love for the truffle date back to childhood. It’s definitely worth stopping by their new retail location to experiment with the different products like truffle oil, salt, or honey truffle. I plan to try the truffle honey over some crostini with a soft cheese like a Brillat-Savarin. It’s a lovely late-summer treat to indulge in as hints of fall’s cool breezes start to arrive.